Forged in a world of cutting-edge research, new and more effective therapies coming out, and a science that is constantly correcting itself, positive psychology has the unique luxury of endurance in the job market. Maybe you’re looking for a new career path that’s not in danger of becoming obsolete. Maybe you’re already working in positive psychology and wondering how your job will stand up to the test of time, or what your growth opportunity will look like over your career. it’s more about cultivating the right skills than it is about your job title. If you have the right skills or care enough about mastering them (continuous development is one of our core values here at PPP), you’ll never run short of assets to put on your resume. 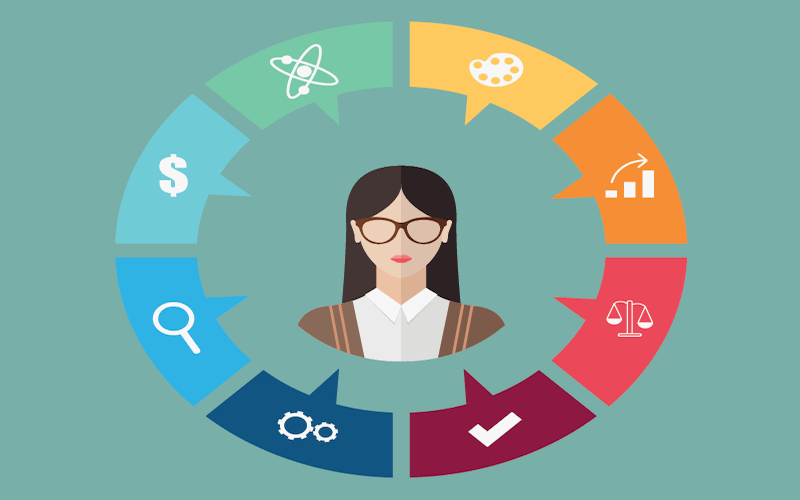 To get you started, we’ve narrowed down eight indispensable positive psychology coaching skills that will make you a valuable, sought-after practitioner. Why? Because with these skills you’re going to be able to make your clients happy by delivering actual results. Please note: this list is by no means exhaustive. In her opinion, it would benefit both psychology in general and positive psychology in particular for it to become more integrated into psychology. “open acknowledgement and appreciation of the negative side of human existence/nature, a side that has heretofore been denied or dismissed by promoters of the movement’s dominant message” (Held, 2004, p.40). Initially, the strong focus of positive psychology on the positive side of human functioning was meant to restore the imbalance created by the deficit focus that dominated psychology. However, the strong focus on positive experiences, traits, thoughts, and emotions carries the implicit message that people should mainly strive for positive experiences and should avoid negative experiences. While “psychology as usual” was criticised by positive psychologists for developing an almost exclusive focus on repairing weakness, positive psychology has been criticised for adopting an almost exclusive focus on well-being and positive outcomes. 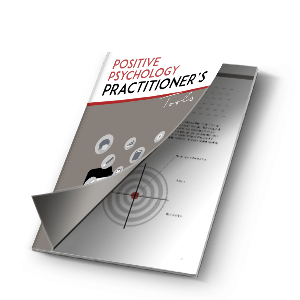 Second wave practitioners see positive psychology as an addition to the field of psychology, not as a substitute. Many scholars have argued that self-acceptance is the key to psychological well-being (Ellis, 1995; Williams & Lynn, 2011; Ryff & Singer, 2008). Self-acceptance refers to the relationship that the individual has with himself. Self-acceptance is conceptualized as the acceptance of self in spite of weaknesses or deficiencies. Some scholars have added the term “unconditional” to the concept to stress the fact that self-acceptance is not based on self-evaluation against some standard, but a relational stance in which the individual accepts himself at a very fundamental level. A person with a high level of self-acceptance does not feel “less” compared to others because of his failures or negative attributes and does not feel “better” than others because of his successes and positive attributes. Self-acceptance allows the individual to experience a healthy relationship with the self. Note that self-acceptance does not mean that the individual refrains from evaluating his behavior. The individual does reflect on his behavior and is willing and motivated to make changes and improve the behavior, but the evaluation of the behavior is not taken personally or perceived as a threat to one’s self-worth. 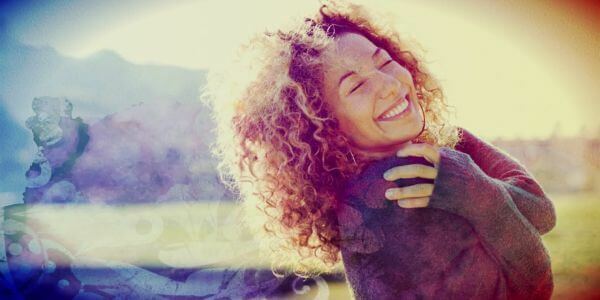 Many positive psychology interventions, like “the best possible self” or “at your best” aim to promote well-being by inviting clients to contemplate about a best possible version of themselves. If not used with caution, these exercises can easily become interpreted by clients as a focus on “improving the self”. When this is the case, they may resonate with the client’s deeply held belief that he is “not good enough”, or “not there yet”. When there is a lack of self-acceptance, interventions like using strengths, boosting positive thinking or benefit finding can be ways for the client to meet the desired self-image (“intelligent” or “strong”) and are unlikely to result in well-being. Before assisting clients in achieving their goals and aspirations, it is crucial to address why a client wants to change something (see skill 7). Clients may wish to change their behavior or environment for self-approval related reasons, and without taking these reasons in close consideration, a practitioner may unintentionally prevent or even decrease well-being. 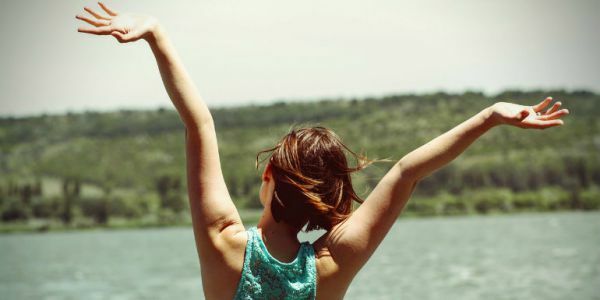 From this perspective, cultivating self-acceptance can be considered a fundamental starting point of interventions that aim to achieve sustainable levels of well-being. This may be the most important positive psychology coaching skill, so I will explain this one extensively. In the scientific literature, the complex construct of well-being has been conceptualized in many different ways. Two of the most common conceptualizations of well-being in the field of Positive Psychology are subjective well-being (SWB) and psychological well-being (PWB) (Linley, Maltby, Wood, Osborne, & Hurling, 2009). While the terms SWB and Psychological Well-being (PWB) are often used interchangeably, they are derived from separate traditions: hedonism and eudaimonism (Joseph & Liney, 2005). SWB focuses on the hedonic aspect of well-being, which is the pursuit of happiness and a pleasant life. The psychological well-being perspective (PWB), on the other hand, focuses on eudaimonic well-being, which is the fulfillment of human potential and a meaningful life. Why is it Important to Address Both Types of Well-being? Because research findings suggest that the relationship between SWB and PWB is bi-directional. At first glance, SWB may seem the primary result of higher levels of PWB. For instance, a person who has positive relations with others and experiences a high level of autonomy is likely to experience positive feelings like joy, excitement, and so on. Research, however, has shown that SWB can also influence PWB. Experiments have shown that induced positive mood leads to a higher purpose in life (Hicks & King, 2009; King et al., 2006). In sum, components of PWB like meaningful commitments and purpose in life can promote opportunities for satisfaction and happiness. At the same time, positive affect can facilitate advanced cognitive functions and behavioral repertoires, thus fostering psychological growth and meaning-making (see Broaden-and-Build Theory). The deepness that PWB adds to the human experience moves beyond “feeling good”. The sense of autonomy and authenticity that emerge from valued actions and coping with difficulties is not some fleeting feeling: it is a profound experience of meaning and self-efficacy. A life that is characterized by high levels of PWB is likely to be characterized by many positive and pleasurable feelings, as well as difficult and uncomfortable ones. By only focusing on SWB, you undermine the very foundations of the second wave perspective. Strengths are characteristics of a person that allow them to perform at their personal best. Strengths include positive attributes, abilities, thoughts, behaviors, and resources. Whereas weaknesses can prevent the client from realizing his aspirations, strengths can help the client to realize them more effectively and directly contribute to increased well-being. strengths in the context of resilience. strengths in the context of performance. In the context of resilience, strengths refer to characteristics that allow humans to effectively cope with difficult times. “the capacity to cope with difficulties, to maintain functioning in the face of stress, to bounce back in the face of significant trauma, to use external challenges as a stimulus for growth, and to use social supports as a source of resilience”. (McQuaide & Ehrenreich, 1997, p.203). Scientific research has consistently demonstrated that using one’s strengths is associated with higher levels of well-being. “… a strength is a pre-existing capacity for a particular way of behaving, thinking, or feeling that is authentic and energizing to the user, and enables optimal functioning, development and performance” (Linley, 2008, p.9). Positive Psychology practitioners should address both types of strengths because they promote optimal functioning in different ways, either by increasing joy and engagement or by dealing effectively with problems and obstacles. Every label is a reduction of the endless complexity of reality. Consider the label “American”. When we talk about “Americans” we treat more than 300 million people as if they are all the same, completely ignoring the diversity of all those people. The same applies to labels like “eating disorder”, “bipolar disorder”. 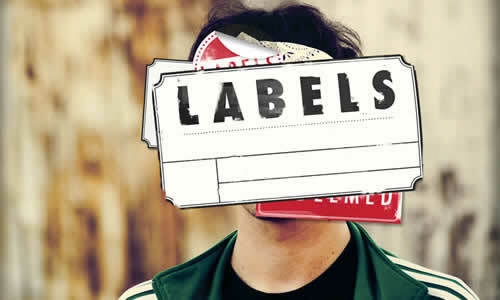 When using these labels, the risk exists that you ignore the client’s characteristics that contribute to his unique identity and circumstances. This may lead us to generalise clients, fail to see their unique identity, history and strengths and thereby severely ignore their unique nature and unique potential for growth. Once you start categorizing clients in terms of their problems, the collection of information that is inconsistent with the category is hindered (Salovey & Turk, 1991). For example, when a client is diagnosed with depression, you may seek and pay extra attention to information that confirms the client’s negative thinking styles, while ignoring information that suggests otherwise (aka the confirmation bias). 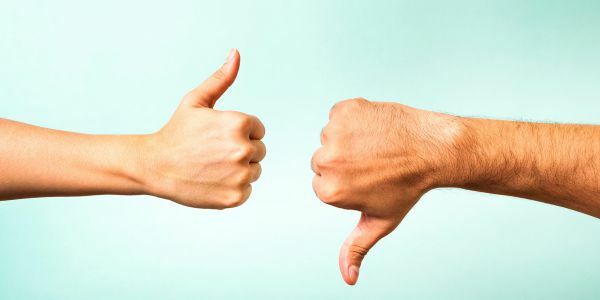 You may be more inclined to ask for the client’s negative stories about the past while ignoring to address positive aspirations for the future. Simply put, it is what you look for that you see. In order to receive information on potential sources for growth and discover the client’s ability to cope with challenges, we need to ask about the client’s successes and achievements. In addition to asking a client “how come this is the third time for you to become depressed?”, we may also ask “how did you manage to get over your depression the last two times?”. Both questions are necessary to create a balanced view of the client’s situation and resources. Maddux J. E., Snyder C. R., Lopez S. J. (2004). Toward a positive clinical psychology: Deconstructing the illness ideology and constructing an ideology of human strengths and potential. In Linley P. A., Joseph S.(Eds. ), Positive psychology in practice (pp. 320-334). Hoboken, NJ: Wiley. Snyder C. R., Lopez S. J., Edwards L. M., Pedrotti J. T., Prosser E. C., Walton S. L., . . . Ulven J. C. (2003). Measuring and labeling the positive and the negative. In Lopez S. J., Snyder C. R. (Eds. ), Positive psychological assessment: A handbook of models and measures (pp. 21-40). Washington, DC: American Psychological Association. Clients are considered to be the experts of their own lives. The practitioner facilitates. Of all people, the client holds the answers to his true aspirations, strengths, and values. The client knows which experiences provide him joy and energy, which thoughts run through his mind and what his deepest fears are. The practitioner operates with this awareness and assists in uncovering answers that are already present within the client, rather than providing them. Paradoxically, the need to change the client may actually prevent the client from experiencing autonomy and taking responsibility for his actions. “there is something wrong with you and I am going to help you fix it”. “you are good the way you are and you have what it takes to deal with the things that prevent you from seeing this”. The goal of a practitioner is to eventually become redundant by helping clients to behave in line with personal values and effectively cope with challenges. Diagnosing clients predominantly in terms of their shortcomings and problems is unlikely to contribute to this process because it can cause the client to internalize the label ( I “am” a borderliner). The client starts perceiving himself through the lens of this limited label, falsely believing that he is the label that he was diagnosed with. Identification with negative labels can reduce self-efficacy, increase the client’s feelings of helplessness and strengthen his perception of being a victim. So What Aspects do You Address and Why? By addressing the personal strengths of a client, his aspirations, and his potentialities, you allow the client to perceive himself through a lens of options and possibilities. By identifying coping styles that have been proven successful in the past, you allow the client to become aware of his personal resources. By addressing his values and aspirations, you stress the importance of his personal development. By discussing the supportive social network of the client, you emphasize his connection to others and allow the client to perceive himself beyond his problems only. Assessing clients through a multi-dimensional lens automatically affects the role of weaknesses in the healing process. Rather than being the primary target of the intervention, weaknesses now become embedded in a larger picture and are considered in the service of personal goals and values. Don’t just help a client to achieve whatever he wants. Dive into the motives for change. Research in the field of motivation has revealed that the underlying motives for change are a strong predictor of well-being (see Emmons, 1999, for a review). For example, a client may wish to use his strengths more often. Rather than simply identifying this wish, the practitioner also addresses the client’s reasons underlying it. The client may be motivated to use his strengths more because he feels less competent in the eyes of others. His motivation may be characterized by a lack of self-acceptance (see skill 2) and need for approval. Alternatively, the client may want to use his strengths more because it allows him to do the work he loves even better. His intentions are guided by a sincere need for personal growth. Gaining insight into the underlying motives for change allows the clients to move from simply achieving particular results to achieving results that structurally affect his well-being. “Although the topics of positive psychology, such as happiness, appear at first glance to be straightforward concerns, the scientific exploration of them is far from simple. Even though you don’t have to be a statistics expert and live and breathe SPSS, you do need to know how to interpret scientific findings and be able to translate them into real-world practice. You can confidently grab an academic journal, read an article and distill the most important findings and come up with a way to apply them in real life settings. Want to practice this skill? Read and reread them and jot down the most important findings. Brainstorm on interventions and exercises you can base on these findings alone. TIP: Do this brainstorm with someone who is also interested in PP. It’s a lot of fun! Of course, you don’t want to focus on all of these things at once. So bookmark or save this page now so that you can always refer to it at a later point in time. We hope this page will help you to more effectively help other people. He travels around the world with his laptop and currently resides in Puerto Vallarta, Mexico. Seph loves surfing, tacos and writing about himself in third person. 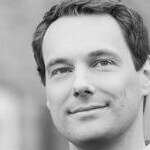 Dr. Hugo Alberts (Ph.D.) – psychologist, researcher and entrepreneur. Upon completion of the master’s psychology in 2002, he obtained his doctorate in 2007 on the theme of self-control. Deci, E.L., & Ryan, R.M. (2008). Self-determination theory: A macrotheory of human motivation, development, and health. Canadian psychology/Psychologie canadienne, 49(3), 182. Diener, E., Suh, E., Lucas, R.E., & Smith, H.L. (1999). Subjective well-being: Three decades of progress. Psychological Bulletin, 125, 276-302. Ellis, A. (1995). Changing rational-emotive therapy (RET) to rational emotive behavior therapy (REBT). Journal of Rational-Emotive & Cognitive-Behavior Therapy, 13, 85–89. Emmons, R.A. (1999). The psychology of ultimate concerns: Motivation and spirituality in personality. Guilford Press. Held, B. S. (2004). The negative side of positive psychology. Journal of humanistic psychology, 44, 9-46. Hicks, J. A., & King, L. A. (2009). Positive mood and social relatedness as information about meaning in life. The Journal of Positive Psychology, 4(6), 471–482. Joseph, S., & Linley, P. A. (2005). Positive adjustment to threatening events: An organismic valuing theory of growth through adversity. Review of general psychology, 9(3), 262. King, L. A., Hicks, J. A., Krull, J., & Del Gaiso, A. K. (2006). Positive affect and the experience of meaning in life. Journal of Personality and Social Psychology, 90, 179–196. Linley, P. A., Maltby, J., Wood, A. M., Osborne, G., & Hurling, R. (2009). Measuring happiness: The higher order factor structure of subjective and psychological well-being measures. Personality and Individual Differences, 47(8), 878-884. McQuaide, S. & Ehrenreich, J.H. (1997, March/April). Assessing client strengths. Families in Society: The Journal of Contemporary Human Services, 78, 201-212. Ryff, C.D., & Singer, B.H. (2008) Know thyself and become what you are: a eudaimonic approach to psychological well-being. Journal of Happiness Studies, 9, 13–39. Ryff, C. D., & Keyes, C. M. (1995). The structure of psychological well-being revisited. Journal of Personality and Social Psychology, 69(4), 719–727. Salovey, P., & Turk, D. C. (1991). Clinical judgment and decision-making. Handbook of social and clinical psychology: The health perspective, 416-437. Williams, J.C., & Lynn, S.J. (2011) Acceptance: an historical and conceptual review. Imagin Cogn Pers, 30, 5–56. Loved this article, very useful and elegantly structured. 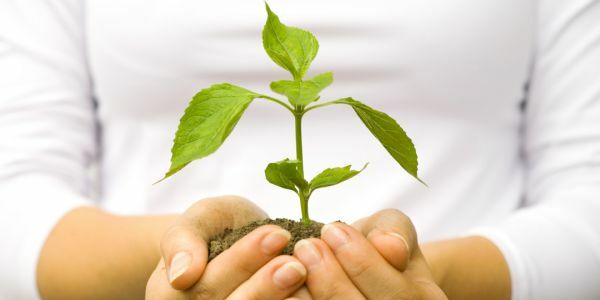 However in the part about psychological well-being, the description of environmental mastery should be reversed with the description of personal growth. Correct me if I’m wrong. Thank you for writing. Amazing write up; it streamlined all my thoughts and shaped it up. Thanks for the insight. what a wonderful material for personal growth. I did benefit a lot. I strongly recommend to read such an article to become more and more positive and radiate positive energy everywhere. Great and realistic overview on the present state of PP. It moves away from the “happiology” paradigm which makes PP and our work as coaches, educators or other far from reliable or valid. Love the article, it’s absolutely great! As you mention Ryff, I have a question. I remember reading that the six-factor model of PWB doesn’t hold up because there is too much correlation between the six factors (Springer, Hauser, & Freese, 2006; the article is called “Bad news indeed for Ryff’s six-factor model of well-being”). I realise this is more than 10 years old, so has substantial empirical evidence supported the six factors since then? I’ll give that article a read Martin, thanks for the tip. In this article, we want to illustrate the difference between SWB and PWB and explain why it is important to focus on both. Yah Dr Hugo and Seph, thanks a lot for your well wish fr me a practitioner,Trainer and lover of Positive Psychology. The newer information are wholeheartedly accepted and welcomed. Thanks for such resourcefulness. Thanks for this, no wonder you’re excited. It’s the best summation of the current condition and potential of PP I’ve read. The insistence of self-knowledge and acceptance as the bedrock of growth is critical especially for coaches like me. I work mainly with clients living in severely deprived urban environments in Glasgow /Scotland. PP2 makes this more credible and viable for everyone. Brilliant one sentence summary Barry! We indeed regard self-awareness and self-acceptance as the bedrock of PP because all future (therapeutic) direction builds on this foundation. How are you applying PP there in Glasgow? Curious to hear more. This is an informative and supportive article. As an Alexander Technique teacher and a student of coaching thank you for the scholarly articles which will help inform my purpose to support others in their purpose. By the by…I like to use the word “constructive” (a word used by F.M. Alexander) rather than positive as one needs to gather information about the current circumstances (includes negative affect) in order to form a plan towards a new want. Thanks again. Good point Kell. I love that.